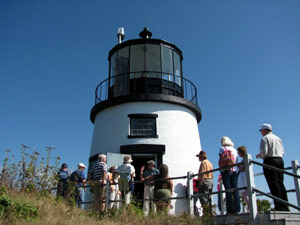 Thanks to the dedicated efforts of ALF volunteers who once again gave countless hours of time to our publicly accessible lighthouses, over 60,000 individuals were able to climb light towers, walk through keeper’s houses and learn firsthand the lure and importance of lighthouses. 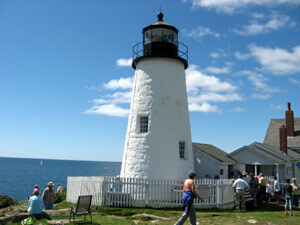 ALF has seven lighthouses that offer some level of public access each year, with an eighth – New London Ledge– soon to join this number once repairs are made at the site. 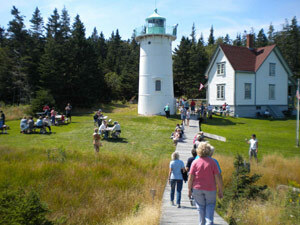 In 2010, Race Point, Portsmouth Harbor, Pemaquid Point, Wood Island, Rockland Breakwater, Little River, and Owls Head welcomed people through their doors from all over the country, and around the world. 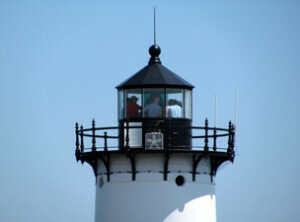 People came by car, bus, over-sand vehicles, and by boat to learn about these lighthouses, the natural environments in which they sit, and why we need to work together to help keep the lights shining for future generations.